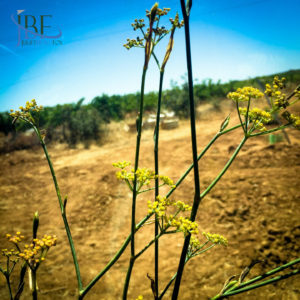 We followed the mowing machines as they sliced through the wild fennel growing along the highway, wafting anise into the air. 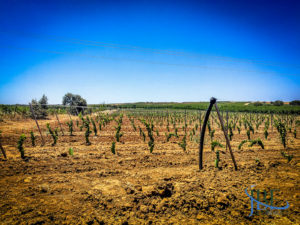 The Alentejo countryside rolled around us, not yet baking today under the sun that will eventually send the temperature into the 40s—Celsius. Who visits this open plain in July? What madness? We come for the wine. 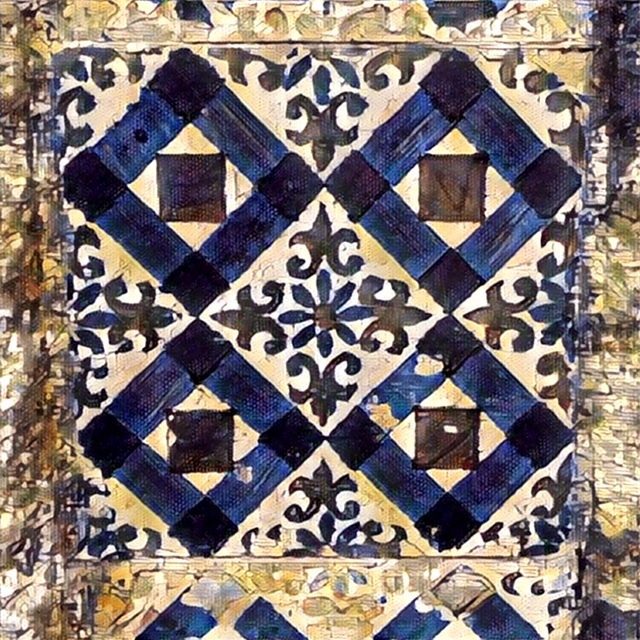 We picked a day that didn’t look too horrible on the seven-day forecast, and sent emails to arrange for several visits to the herdades and adegas around the town of Reguengos de Monsaraz. 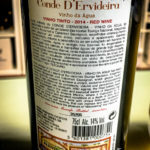 One of those, Ervideira, particularly intrigued me, as its Lusitano line of value wines we’d enjoyed many times over the past year. 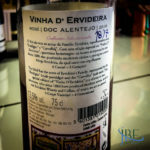 From the road, the winemaking complex looks very functional—but you cannot miss it, with the bold, red “Ervideira” blazed on the side of a long green warehouse building. We pulled up into the lot, the only car visiting—perfect. A quiet day from the enoturismo standpoint, but clearly a working one, as the place hummed with effort. 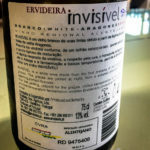 We soon had a series of six wines in front of us, and a friendly member of the extended Leal da Costa family helping us understand the wide palette of tastes we were about to discover. The Leal da Costa family descends directly from the Count of Ervideira, and encompasses the estates of Monte de Ribeira and Herdadinha. 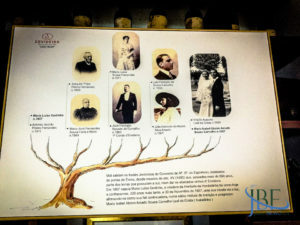 Divided between the departments of Vidigueira (110 hectares) and Reguengos de Monsaraz (50 hectares), the 160 total hectares allow for a wide range of styles to present in the wines—and form the foundation for the innovation philosophy driven by the family and its winemakers. Always curious to try inventive ways to turn the classic Alentejano varieties into something new, the Leal de Costas (under matriarch Dona Maria Isabel Leal de Costa) and winemaker Nelson Rolo, have clearly produced wines of interest. We started our tasting off with a perfect example of this, the Invisível. As you might gather, the wine showed absolutely clear—not a hint of yellow or pink to tint the liquid in the bottle. Crafted from Aragonez grapes harvested under the moon at night, and transported under refrigeration to the adega, this wine is a marvel. First, a nose of orange blossoms and Earl Grey tea, followed by tangerine notes on the palate, with an herbal freshness like parsley. It reminded me of a saké served slightly chilled. 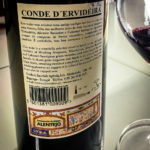 The wine is not expected to change much with age, as the tannins normally found in the Aragonez (red) grapes are so reduced here. A fascinating and delicious wine. 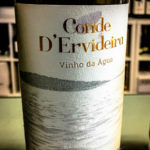 Another innovative wine was born from the desire to keep aging wine from the effects of the hot summer Alentejo sun—and make use of another Portuguese discovery, that water can help age a wine evenly (see also: Fonseca’s Moscatel de Setúbal). 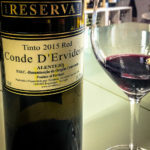 A portion of the Conde d’Ervideira tinto was diverted at the time of bottling to age under the waters of the nearby Barragem do Alqueva. Near the marine, the wines were sunk to 30 meters to live for eight months, creating the Vinho da Água. The result smoothes the wine into velvet, and protects its blackberry fruit and leathery smoke. A beautiful wine to enjoy with rich meats and game. 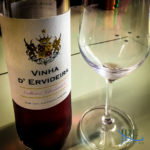 Ervideira also creates a late harvest wine from the Antão Vaz grape, which is harvested in October after the first frosts come—yes, as hot as the Alentejo region gets in the summer, it sinks below freezing on winter nights. We found golden apples on the nose, with a palate of almond blossom in this generous Vindima Tarde from 2015. For your own exploration, you can stop by the adega at the Herdade da Herdinha during business hours, though an email or call helps them to expect your visit and have things arranged for you. 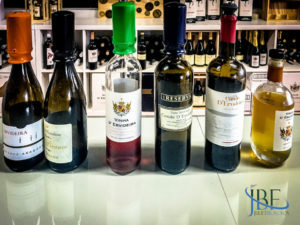 Ervideira also keeps several wine shops (lojas) around in the historic hill town of Monsaraz (well worth a visit for the views alone) and Évora (the world heritage town makes an excellent base of operations for your time in Alentejo). Contact them at +351 266 950 010 or +351 913 545 382, or email ervideira@ervideira.pt. More from our tastings below. All prices are roughly for retail purchase in Portugal.